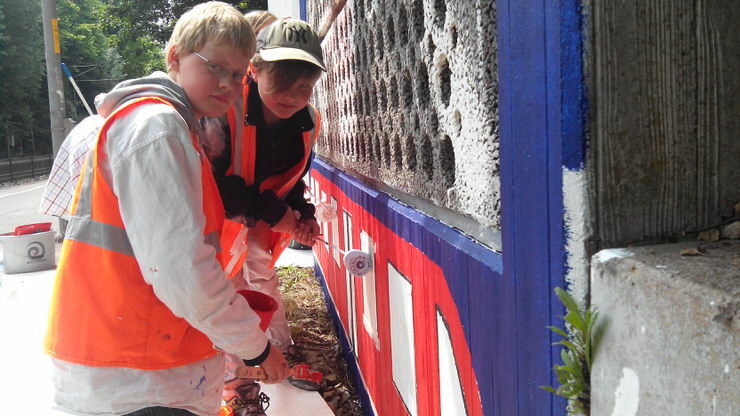 Local children have given Aachen’s Eilendorf station a whole new look – and grabbed the media spotlight in the process. 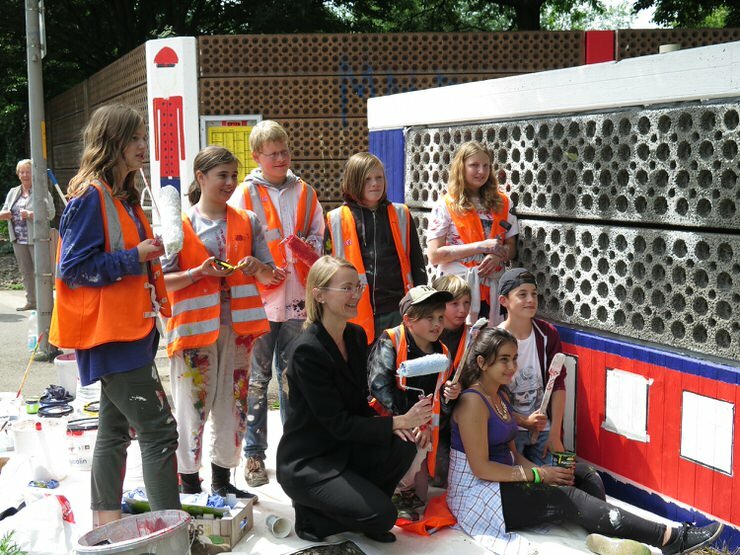 In a great example of community participation and the Citizens’ Rail approach, pupils from Maria Montessori Gesamtschule Aachen have been painting the station’s shelter and noise reduction wall based on their own vivid artwork. 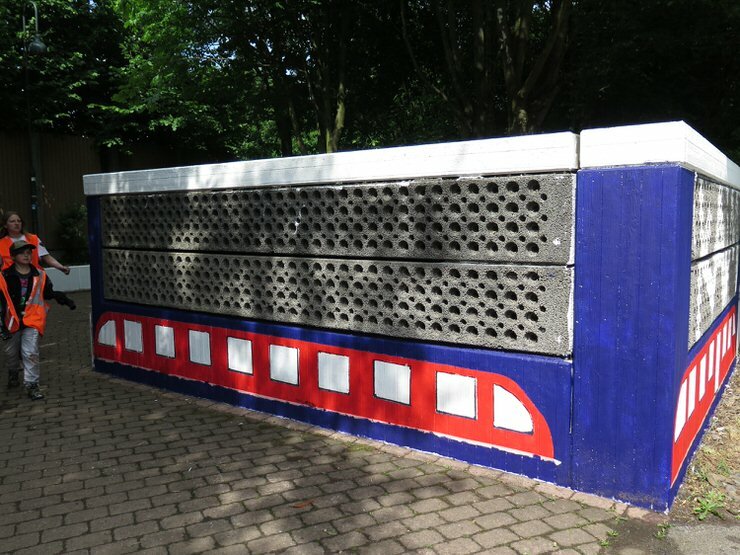 Aachen City Council ran a competition with the school to produce designs to brighten up the station’s shelters, noise reduction wall, entrance and signage. 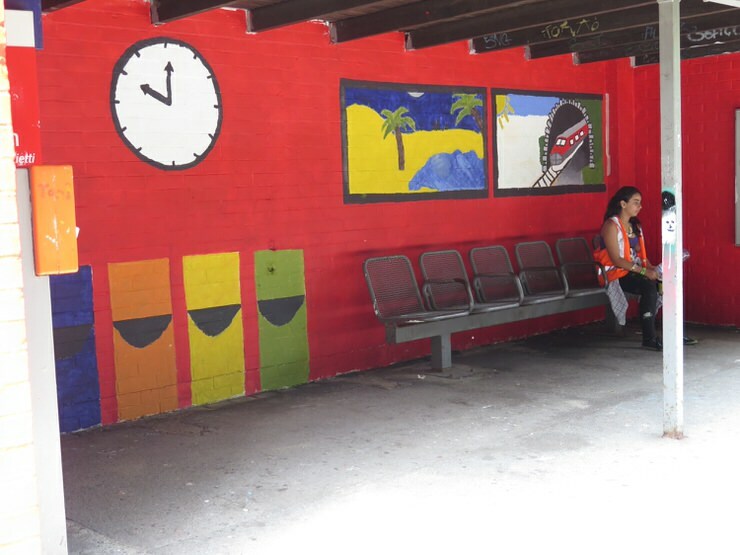 The children visited the station to take a look for themselves and get inspired. 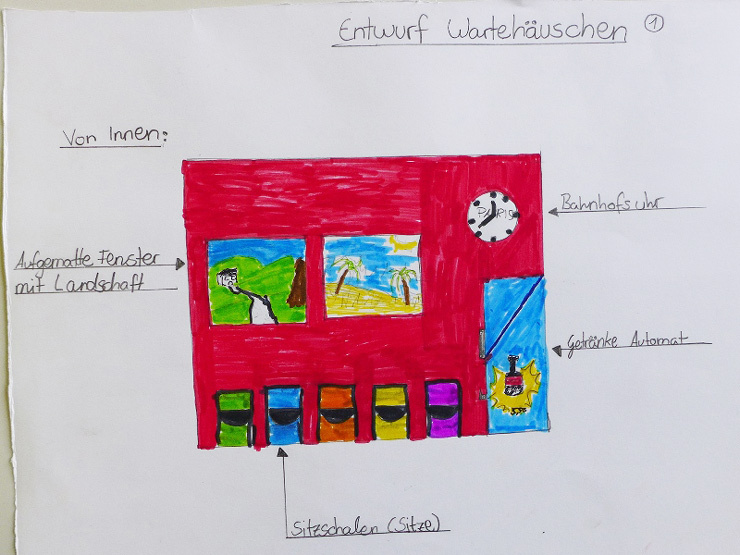 They then produced a wide range of concepts, from which the winners were picked by a panel of judges from the City Council, the school, Deutsche Bahn and other project partners. Now the students have returned to make their designs a reality – and have attracted plenty of media attention. They were featured on local TV news (watch here at 16min 30 – available for the next seven days), and were saluted on the front page of free local newspaper “Super Mittwoch”, distributed to every household in the city. Further press articles are expected in the coming days. The project has also been praised by partners and elected officials. 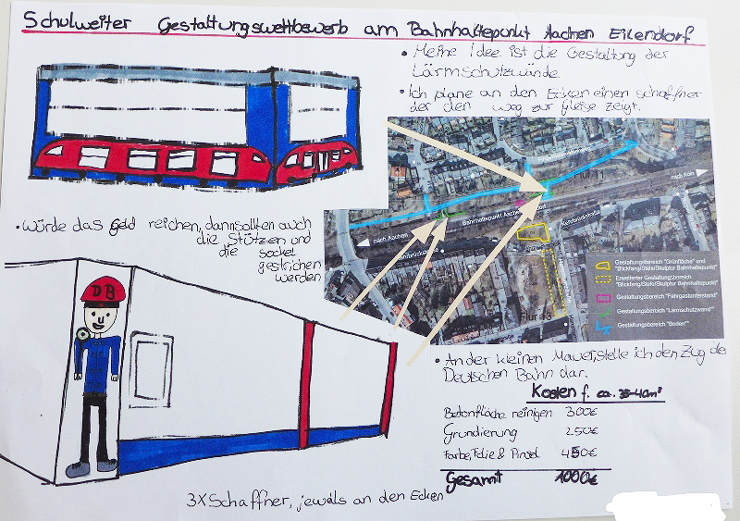 District Mayor Elke Eschweiler said: “I think it’s great, the wealth of ideas which the students have brought to their designs is fantastic.” She announced that Aachen-Eilendorf District Council will soon be looking at further children’s projects, which could lead to a re-design of the neighbouring playground into a “station playground”. 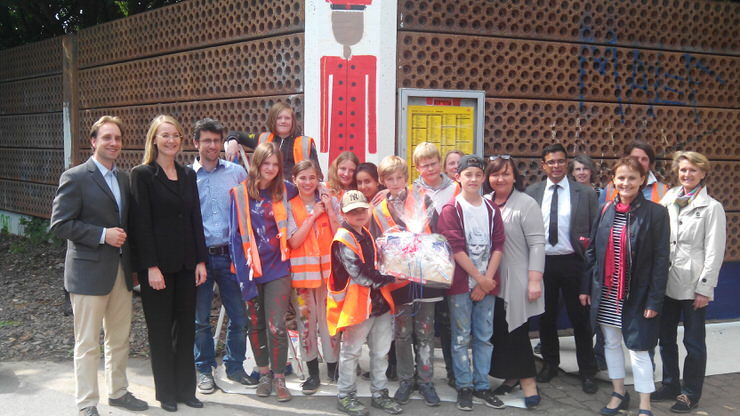 Deutsche Bahn’s Abdelhafid Tahri was also full of praise for the students’ work, as well as thanking Aachen City Council and the EU Citizens’ Rail project – which has helped to involve citizens in planning significant improvements at the station. For more information, visit www.aachen.de/bahnhof.